Great news! 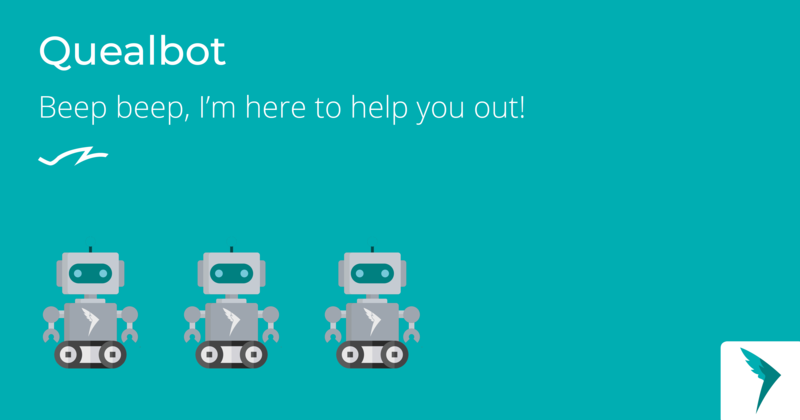 The "Quealbot" we wrote about in our latest improvements blog post went live today. The reason we developed it is because we noticed some people new to Queal (or to complete foods in general) are struggling to find the right product - the one that fits their wants and needs - among everything we currently offer. Of course, we as real human beings are very happy to answer all of your questions. But, we figured it might be useful to have a 24/7 available, quick-responding little help directly on the shop page. Although most of you guys here on the forum are not new to Queal or complete foods, it might still be fun and/or useful to ask Quealbot what product fits best for you. Please try out all of its features if you'd like, and let us know if you discover any bugs, of course! Quealbot is available on the new shop page, via the "assistance" button. Cool! It doesn't seem to work on Firefox for me, though. I see the option-buttons, but nothing happens when I click on them. It works fine on Microsoft Edge. I like the animated images! Thanks @trtr, just fixed it! Sorry, I never tested it on Firefox. It should be fixed now, and working on Firefox as well.